PARIS, April 15. /TASS/. 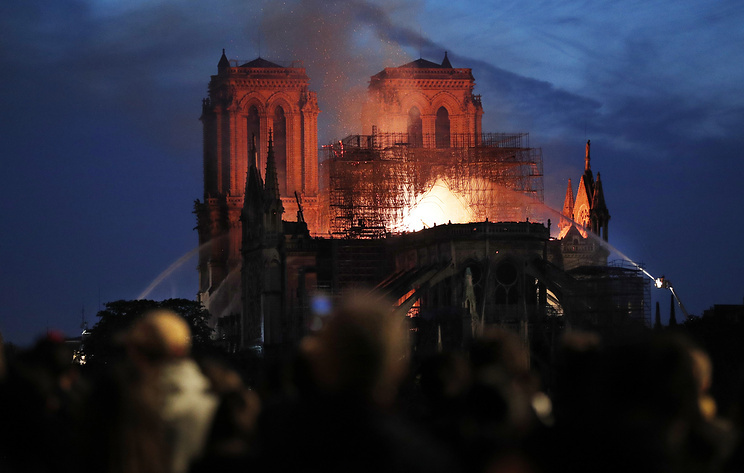 The United Nations Educational, Scientific and Cultural Organization (UNESCO) is closely following the developments in the situation with the Notre Dame cathedral in Paris where a fire broke out on Monday evening, the organization's Director General Audrey Azoulay said. "I am very emotional about the fire at the Notre Dame cathedral in Paris, which has been the World Heritage Site since 1991," Azoulay wrote on her official Twitter account. "UNESCO is closely following the situation and stands together with France to protect and retore this World Heritage Site," she added. A fire broke out at the Notre Dame cathedral in Paris on Monday at around 7pm local time. 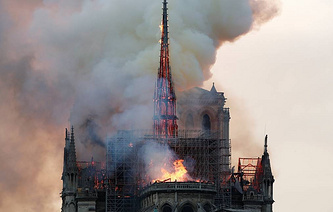 The top part of the spire and the clock of the Notre Dame de Paris cathedral have collapsed as a result of the fire. A TASS correspondent reported from the scene that several hundred firefighters are working at the site.